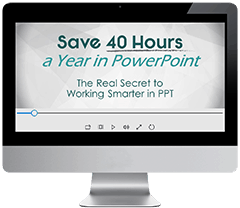 Whether you’re naturally tech savvy or have spent some time following our PowerPoint tutorials, there is one aspect of presentations that many people overlook until the last minute… How to begin a presentation! As Plato himself said, “The beginning is the most important part of the work”. Recent studies have shown that you have a window of just 30-60 seconds to grab your audience’s attention. Follow these simple tips on how to begin a presentation and you’ll have your audience in the palm of your hand. 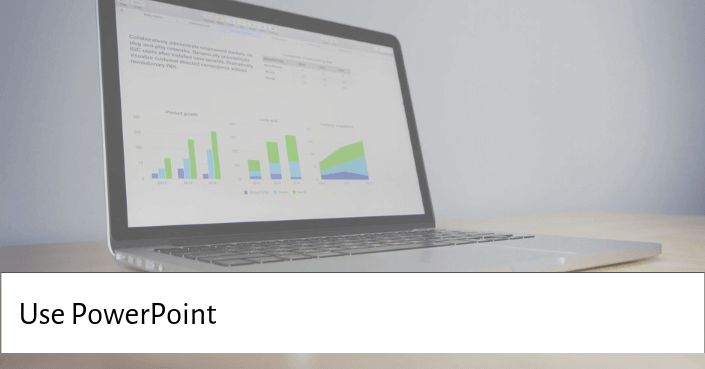 Note: Once you've determined how you want to start your presentation, check out our other helpful article on how to end a presentation in 17 ways. Many guides suggest that 10% of your presentation should be introductory, but this superfluous. If you are giving a presentation at a conference your name and subject matter will be on screen or in the program. While you might feel more comfortable doing the old, ‘Hi, how are you? I’m very glad to be here…’ routine, this is not what your audience has given up their time for. Dive right in and your audience will thank you for it. If you are wondering how to launch a presentation in a way that will make people sit up and take notice, then shock tactics work best. Open with a shocking statistic or a bold claim that is directly related to your main message. 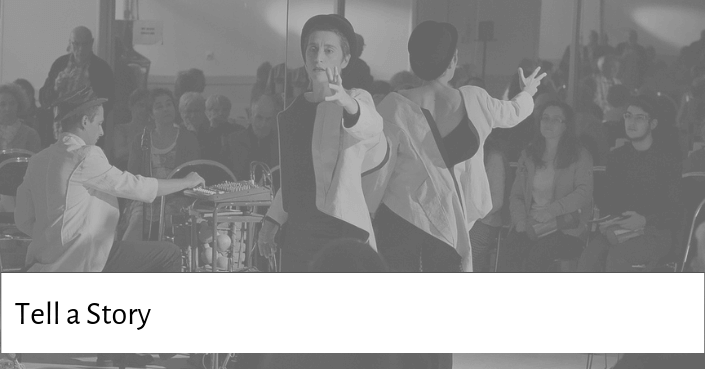 This ‘wow’ factor can really demand attention and make sure your audience is with you as you move forward. 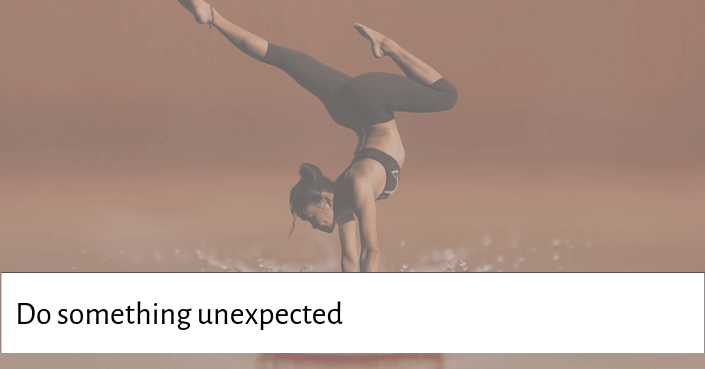 Start by asking the audience to imagine something, perhaps with a ‘what if…’ scenario. 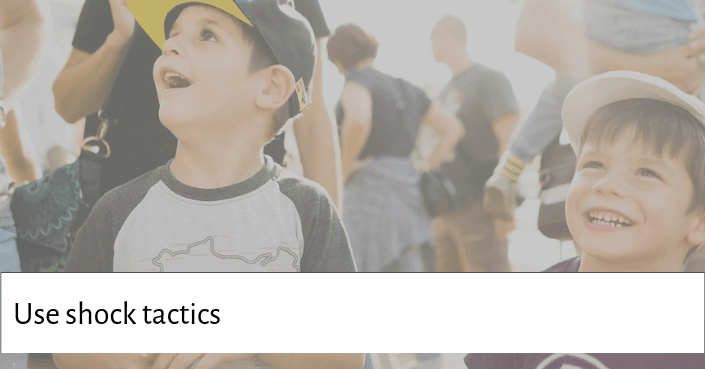 By encouraging them to visualise and use their imagination, you are inciting an emotional response, which means they are more likely to pay attention and learn from your presentation. Professor and neuroscientist Mary Helen Immordino-Yang found that students are better learners and retain more information when they have an emotional reaction to it, and the same is true for your presentation audience. How many presentations have you been to in your life? Countless. We all know how they go, we know what to expect. So, shake it up! No one expects to be called a liar at the beginning of a presentation. It’s not the norm, and so attention is peaked. Do something that knocks your audience off autopilot and brings them to a conscious point of engagement. We inherently love stories. From the fairy tales we enjoyed as children to the movies and novels, we love as adults. Stories capture our hearts and minds, and more importantly, our attention. If you start your presentation by rhyming off facts and figures, it won’t matter how important they are as no one is going to remember them. Use a story to get your message across and you’ll get up to 75% retention rate. 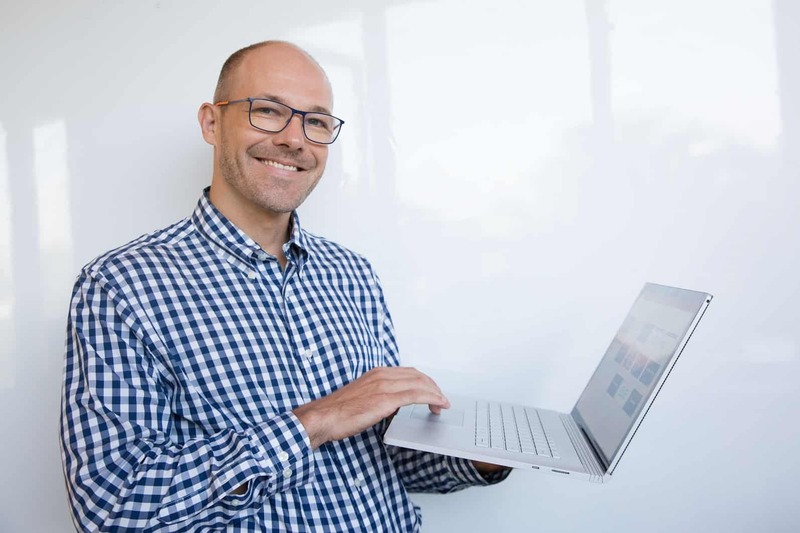 Storytelling can be a great way to launch a presentation, but it can also carry on throughout your PowerPoint presentation and bring your content to life, no matter the subject matter or material. 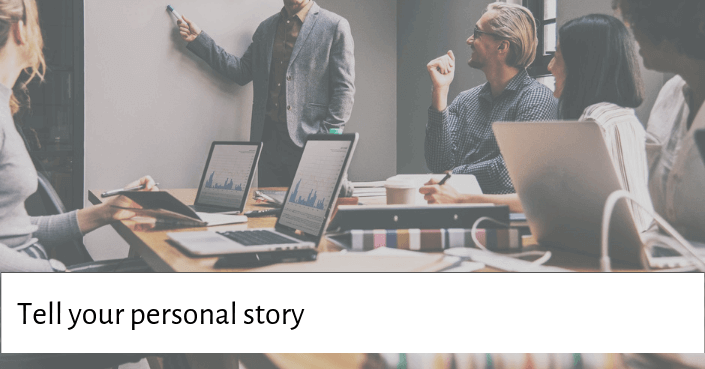 To learn how to turn your business presentation into a story, take a look at our storytelling tips and how to apply them. 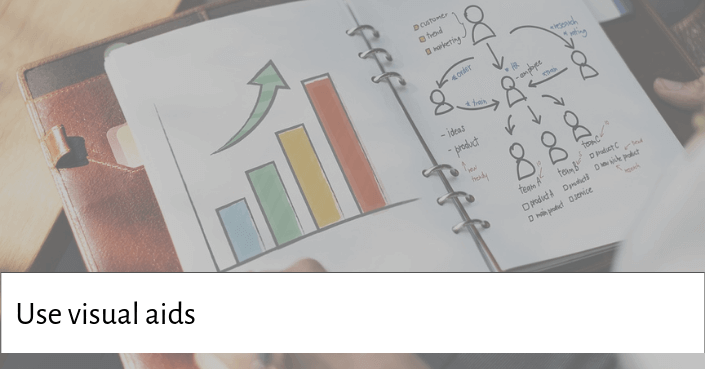 Visuals add value to your presentation, but you don’t have to just rely on your PowerPoint for visuals. Visuals can also be a prop, an object or piece of clothing, food, or equipment. 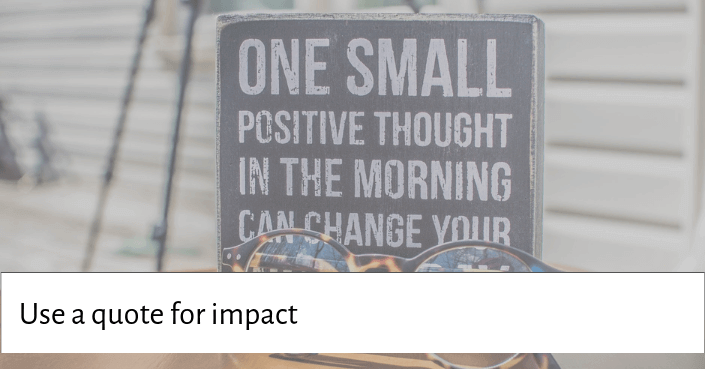 Anything can be used to create impact or emphasize a point. For example, Jill Bolte Taylor used a human brain in her TED talk about having a stroke. Of course, it doesn’t have to be a human organ to get attention! 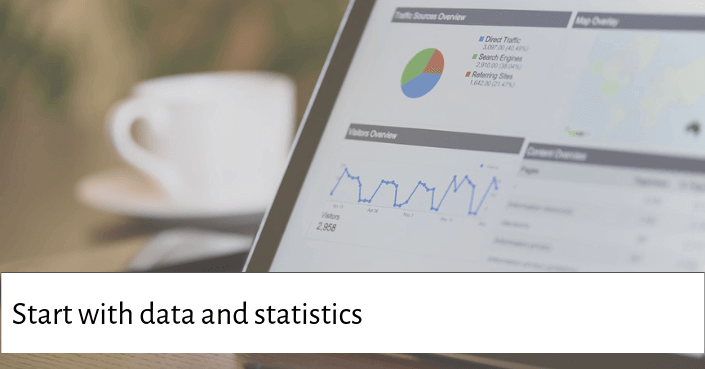 Data and statistics can be a powerful way to start a presentation. They can give credibility, add realism, make your presentation memorable and invoke an emotional response. Sometimes you just can’t say it any better than it’s been said before and using a powerful quote can be a great way to give gravitas to your own message. Try to steer clear of over-used quotes to avoid being cliché, and make sure the quote is relevant to your presentation. Author Andrew Solomon begins his talk on depression with a quote by Emily Dickinson. The quote is powerful because of it is relevant not only to his talk but it also speaks volumes to his audience. In this example Solomon recites the quote, but you can also use PowerPoint visuals to deliver the quote or use images as a visual representation of the quote. 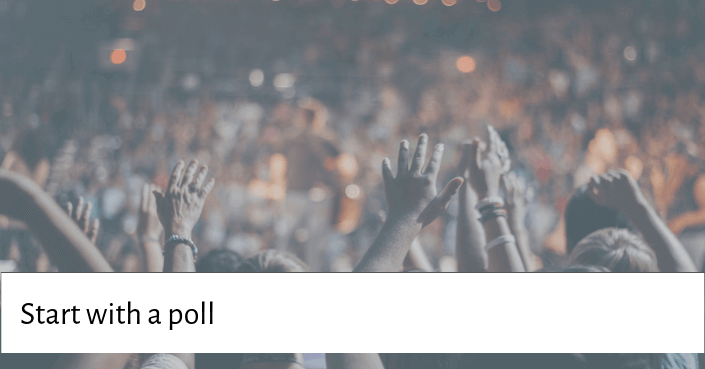 Starting a presentation with some poll taking can be a fun and interesting way to have some audience participation. It can also be a way to break the ice, set the tone or just give you an easy lead-in to your first presentation point or slide. It’s also a great trick to make sure everyone is listening… if a day-dreaming audience member suddenly sees hands in the air, they will start to pay attention! Start by telling people what your topic is NOT about to make an impact on what it IS about. You could start by highlighting the common misconceptions believed about your topic (which some of your audience may even harbour). Debunking what they think they already know not only grabs attention but also shows you to be knowledgeable and worth listening to! As we’ve previously mentioned, people love stories and even more so when they are personal and especially if they are about hardships, struggles, failures, the day-to-day, or family life. This are universal things that make us human and something everyone can relate to. The more your audience can relate the more they will pay attention. If you can put a humorous spin on the story, then even better! 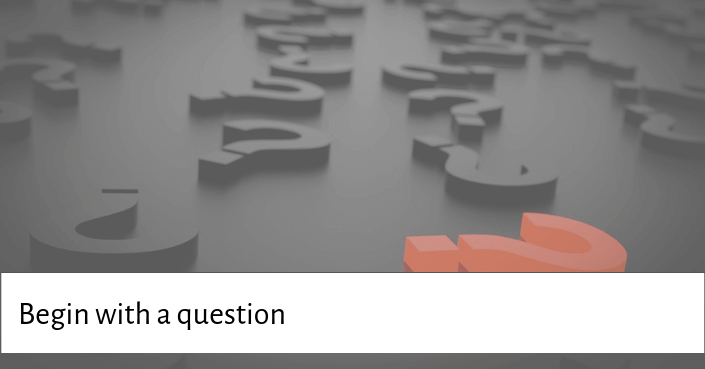 Questions are mentally stimulating and help to emphasise your message. You don’t need to single out a person or go around the room getting answers, but by starting a presentation with a question you plant the seed of thought or an idea in people’s minds. Want to make your audience sit up and pay attention? Provoke them! 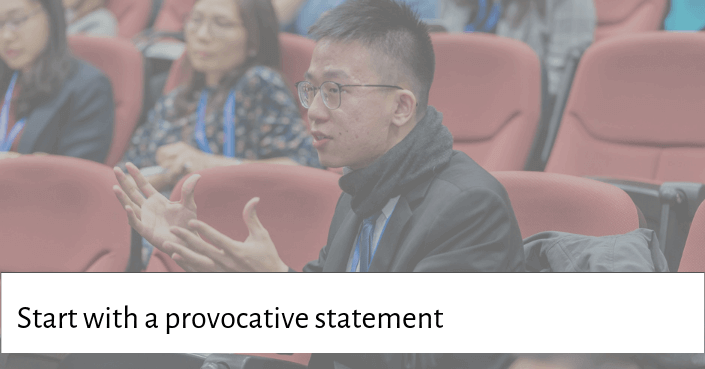 A provocative statement will not only raise eyebrows but incites a whole bag of emotions from surprise, amusement, curiosity, interest and fear. 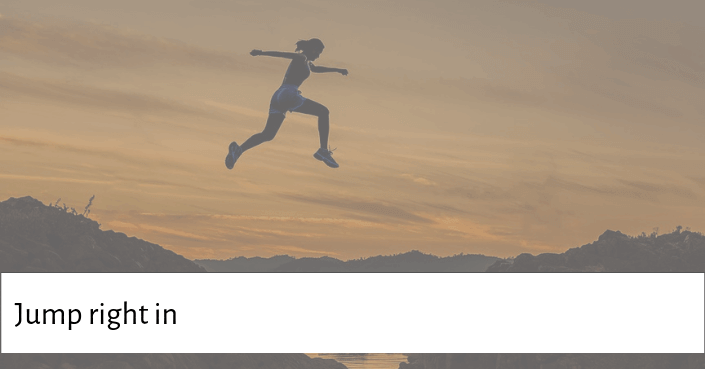 In his TED talk, Larry Smith starts his presentation in two ways, firstly by jumping straight in (see tip #1) and by making a bold and provocative statement by saying, "I want to discuss with you this afternoon why you're going to fail to have a great career." If a picture tells a thousand words, then moving images say a thousand more. 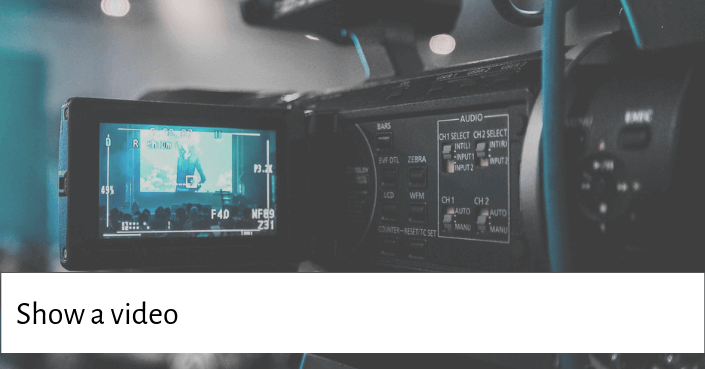 In marketing, videos are considered to be one of the most effective tools to deliver a message and engage an audience and the same goes for presentations since you are effectively marketing your content face-to-face. It’s a familiar and popular medium which is perfect as a storytelling presentation tool. Derek Sivers puts video to excellent use in starting his TED talk which he narrates over. The video complements his message and explains it in a way that words alone could never do. The first few slides on your PowerPoint presentation should be just as memorable as your delivery. 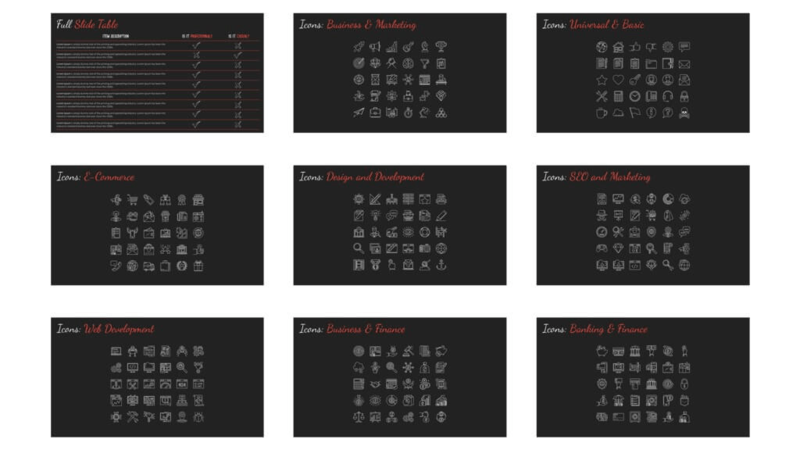 Text-heavy slides at any point of your presentation should be avoided, but especially at the beginning. Remember, visuals are your friend! 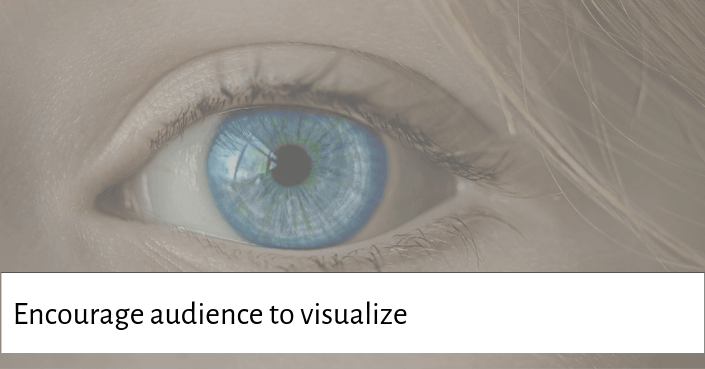 Check out our tips on how to get your presentation message across visually. Also, choosing the right template for your presentation is one of the easiest ways to get your presentation off the ground and flying. This template is the queen of all templates, and we just love i! 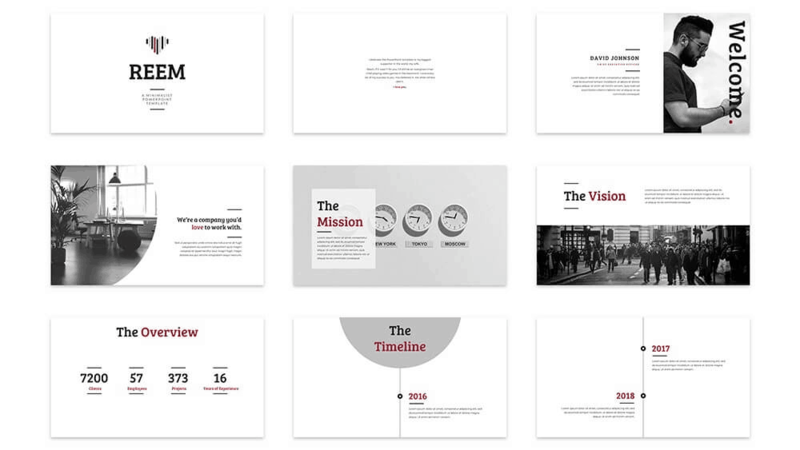 It’s a gorgeous, minimalist PowerPoint template that has everything you need to deliver a stunning presentation. It's so beautiful that its creator, named it after his lovely wife. This template by inspiradesign on Envato Elements is not only beautifully designed, but it’s very easy to use. The designer has obviously put in a lot of effort to make sure the design elements and picture placeholders fit well together so that the design process is smooth. 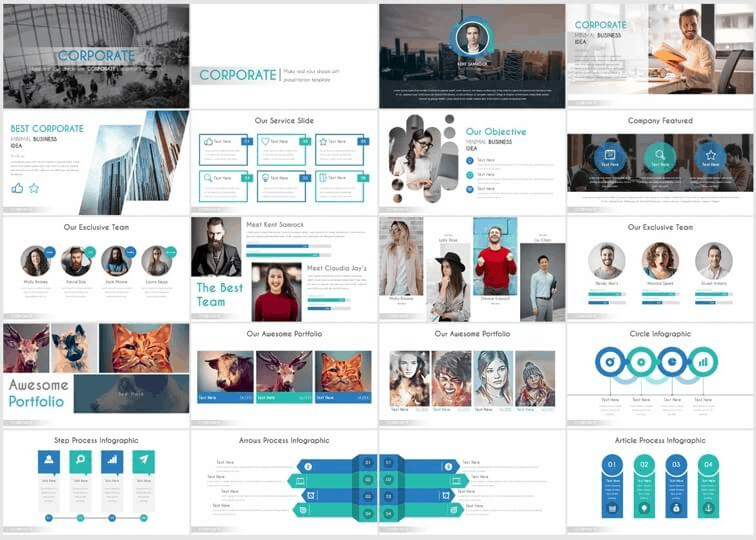 For more great PowerPoint templates, check out our list of our favorite places to download PowerPoint templates.